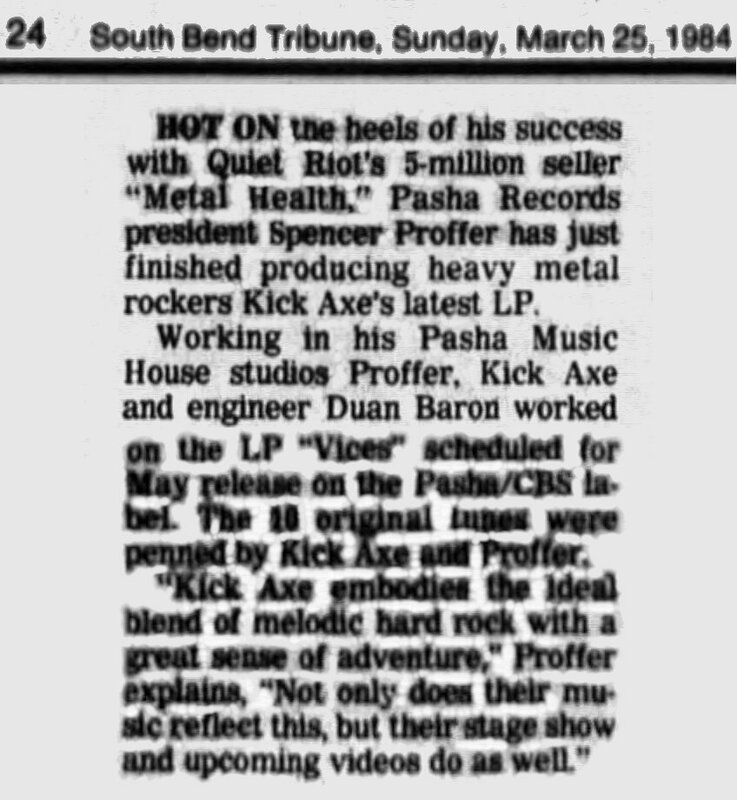 Hot on the heels of his success with Quiet Riot's 5-million seller "Metal Health," Pasha Records president Spencer Proffer has just finished producing heavy metal rockers Kick Axe's latest LP. Working in his Pasha Music House studios Proffer, Kick Axe and engineer Duane Baron worked on the LP "Vices" scheduled for May release on the Pasha/CBS label. The 10 original tunes were penned by Kick Axe and Proffer. "Kick Axe embodies the ideal blend of melodic hard rock with a great sense of adventure," Proffer explains, "Not only does their music reflect this, but their stage show and upcoming videos do as well."